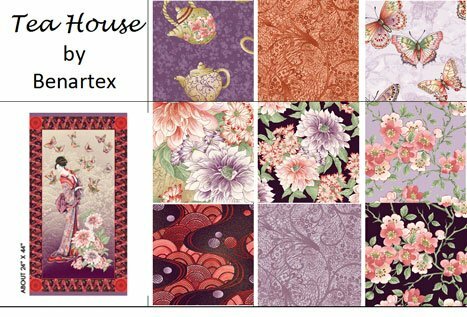 From Benartex, we have received Tea House. "If you appreciate Asian art, this collection is meant for you. Benartex created an elegant hand-painted panel, delicately etched with gold, and then added an entire collection of beautiful Asian-inspired florals, geometrics and textures to complement the group. The result is a fabric collection that is truly a work of art." 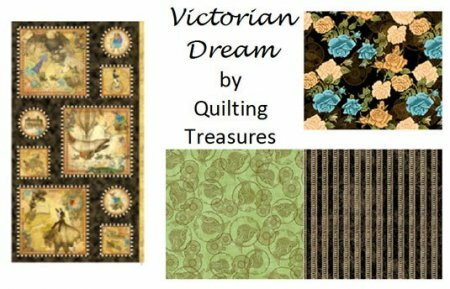 From Quilting Treasures, we have Victorian Dream. "Victorian era marries science fiction in this hot trend known as STEAMPUNK! 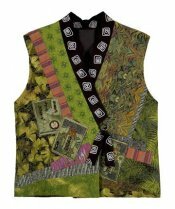 From the couture runway models in NY and Paris, to mainstream apparel and home decor, these very detailed and beautiful rendered designs will get you geared up and inspire so many creative projects!" 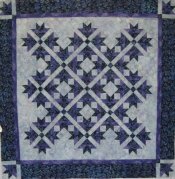 We've made the project quilt from this line, and it will be in the shop soon (as soon as it's quilted). And from Fabri-Quilt, we have Tribal Council, featuring a colorful giraffe print and two bright coordinating prints. 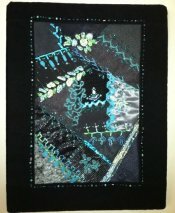 Also from Fabri-quilt, we've received fat quarter packs from their Living Wonders line. There are ten fat quarters and each one features a different animal: giraffes, lions, bears, koalas, tigers, polar bears, penguins, parrots, zebras, puffins. 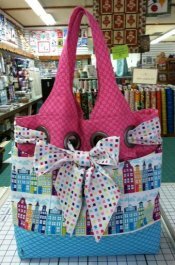 We also have Valentine, St. Patrick's, and Easter fabrics for all your Spring decorating projects! 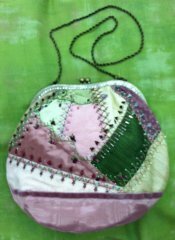 Women of Courage BOM, Sat, Feb 9, -OR- Tue, Feb 12, 9:00 - 10:00 a.m. One slot opened up in this program, so if you are interested, please give us a call. Imperial Blooms. 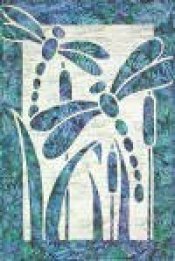 The 1st meeting of the Saturday class for Imperial Blooms will be on Feb 23, 1:00 - 4:00 p.m., not Mar 9, 10 a.m. - 1:00 p.m. Beginning in April, Saturday classes will meet the 2nd Saturday from 10:00 a.m. - 1:00 p.m.
Hand Piecing, Tue, Feb 26, 9:00 - 11:00 a.m.
American Girl Doll Sit & Sew, Wed, Feb 27, 1:30 - 4:30 p.m.